A house for every movie director! Who has a treehouse? 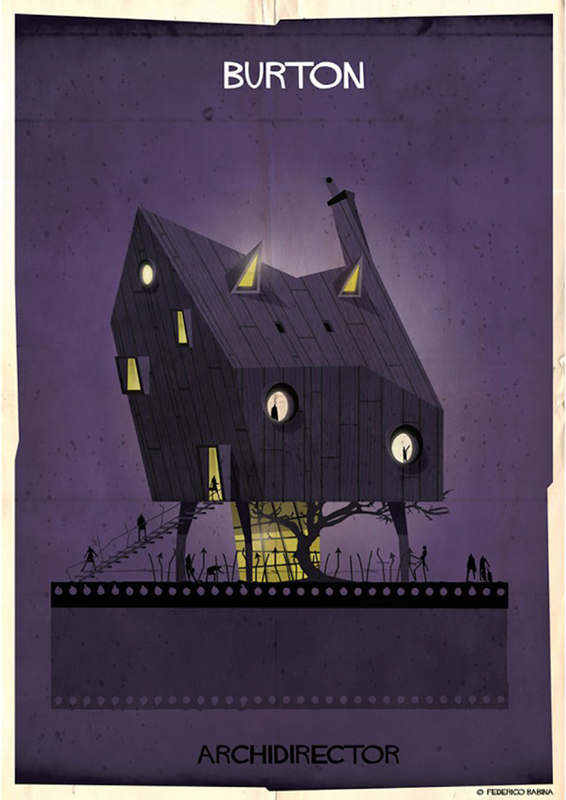 The illustrator Federico Babina with the project “Archidirector” had the idea of drawing a poster with a house for every movie director. Of course the treehouse is assigned to Tim Burton! Pic by Federico Babina. All rights reserved.